This is the very last day I am going to languish with this cold (are you reading this, cold?! ), so while I am sitting here with ear-ache and sinus pain – feeling like there is a steel bar through my head – I though I could cheer myself a little bit by sharing with you some exciting things I have seen that are starting this week! The first pattern in Clare Devine’s Head to Toe collection, featuring the hand-dyed yarn from Ginger Twist Studio. The Montrose hat is lace beret, which has been knit in Splendor – a stunning, sumptuous merino-silk 4ply dyed by Jess James. There is a slouch version ans a fitted version, and there is a real vintage feel. Clare will be launching a Montrose KAL in her group later today and if you are in or around Edinburgh there will be a workshop on the Montrose pattern at GTS on the 10th and 17th of August, from 11.30-1pm and there will be more details on the GTS blog later today. I spied on twitter this morning that Kirsty from Wharfedale Wool Works is extending her sign ups for her British sock yarn club til tomorrow. 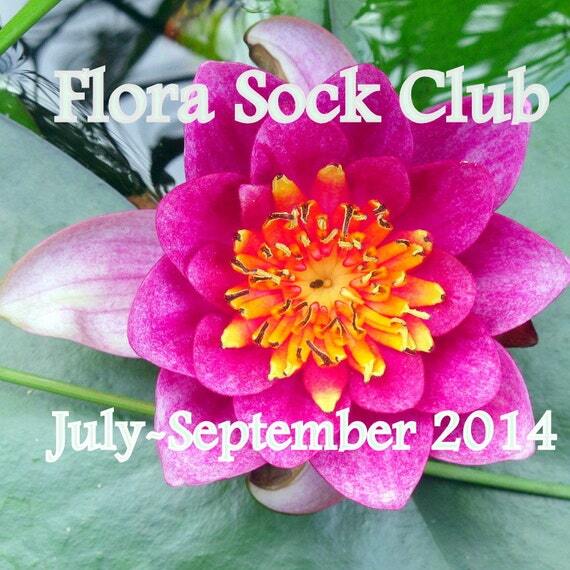 The Flora Sock Yarn Club costs £44.89 and from July to September you will receive 3 x 110g of British BFL sock yarn, dyed by Kirsty; you can also choose from variegated or semi solid. Kirsty is a big fan of using British wool and the wool for this club is sourced just a few miles from her home in Yorkshire. If you think your stash needs some summery sock yarns then join up in her etsy shop before tomorrow! I was delighted to see that West Yorkshire Spinners have brought out some new colours in their Aire Valley DK. They have chosen some of the most popular colours from their spice and sweet Signature ranges and don’t they look beautiful? The yarn is 75% British wool and 25% Nylon – there is 230m per 100g ball and at £4,75 the yarn is fantastic value. 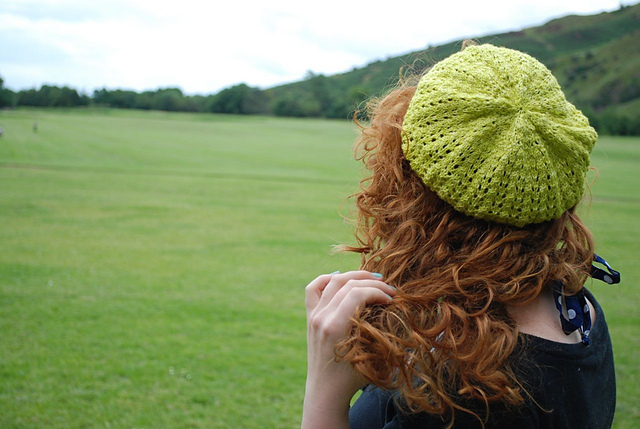 WYS also have a new pattern book called Quintessential DK, should you need inspiration. You might want to buy some for a Lush KAL that I discussed on the podcast, which casts on on the 20th July for 8 weeks. Another post and a rav group sign up thread coming very soon. Right, I think I might do what the Blockheads say and “get back into bed” – but more soon! I was listening to your last podcast as I had lunch today. All hail 3G! I could buy the ebook as I listened! A lovely hat pattern and I’m excited to see what comes next. Now I have to wait until I get home to stash dive and see what to make it out of! Lots of reasons to be cheerful. Love the signature range. Starting a new project and definitely considering this wool. the spice colours would be perfect. Hope you are feeling better now Louise. I had a cold recently too. So much for summer. Love the new ways colours. Off to check them out for the shop. Hope you are feeling better now Louise. I had a cold recently too. So much for summer. Love the new ways colours. Off to check them out for the shop. Yum.